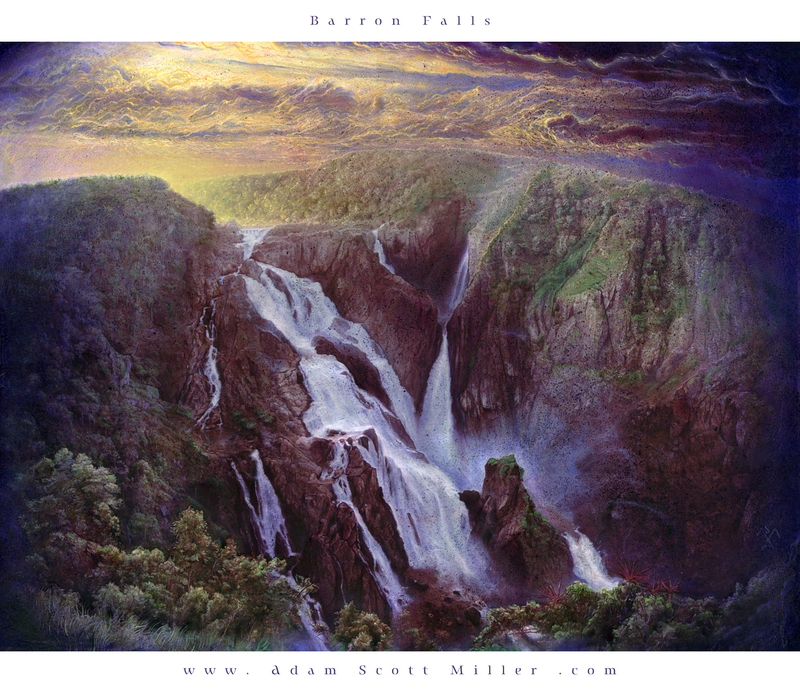 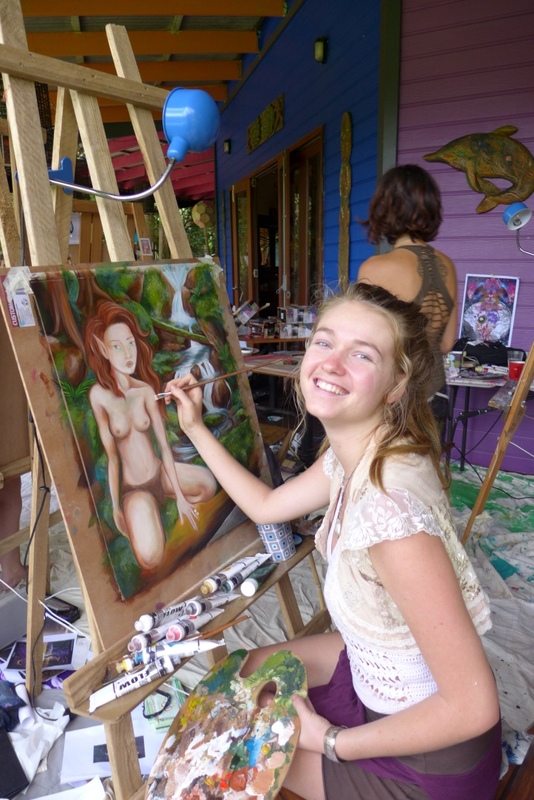 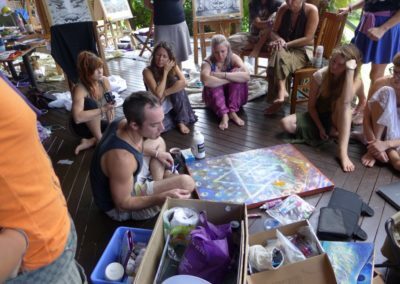 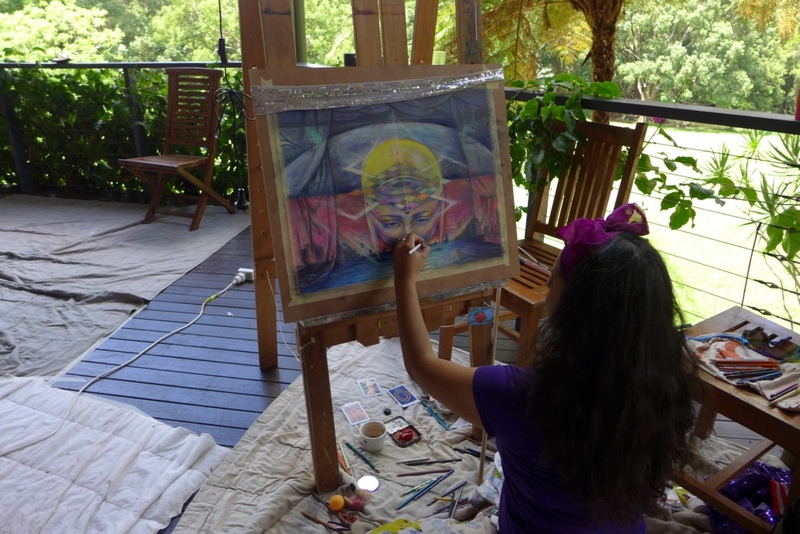 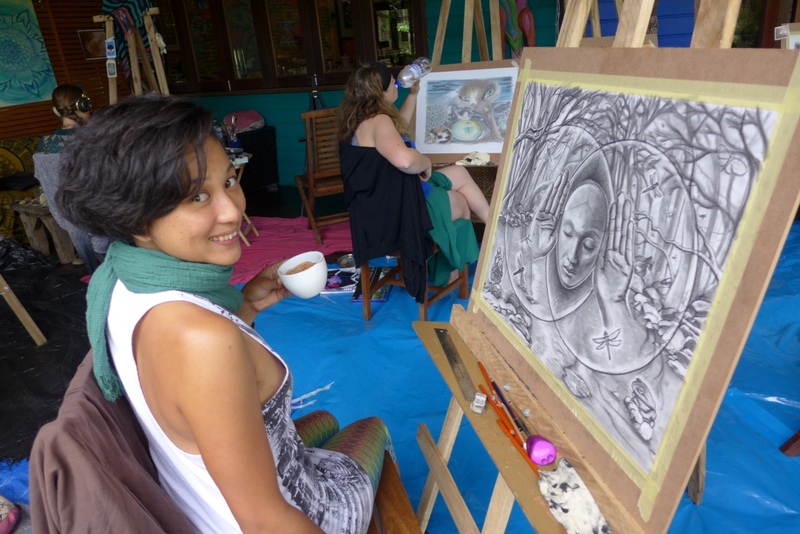 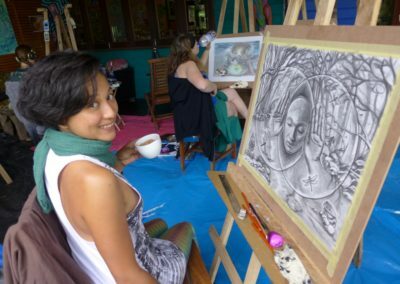 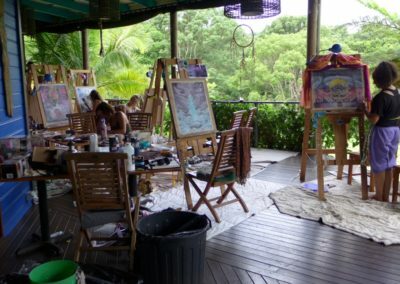 A Visionary Art in Paradise Workshop with Adam Scott Miller (USA), accredited Master of Fine Arts, visionary artist and teacher at the Vienna Academy of Visionary Art. 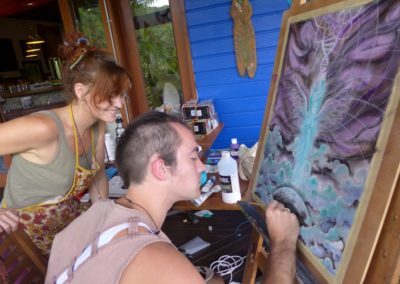 with Adam Scott Miller (USA), accredited Master of Fine Arts, visionary artist and teacher at the Vienna Academy of Visionary Art. 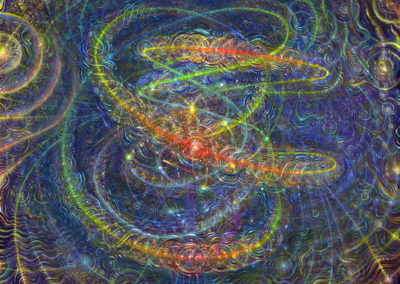 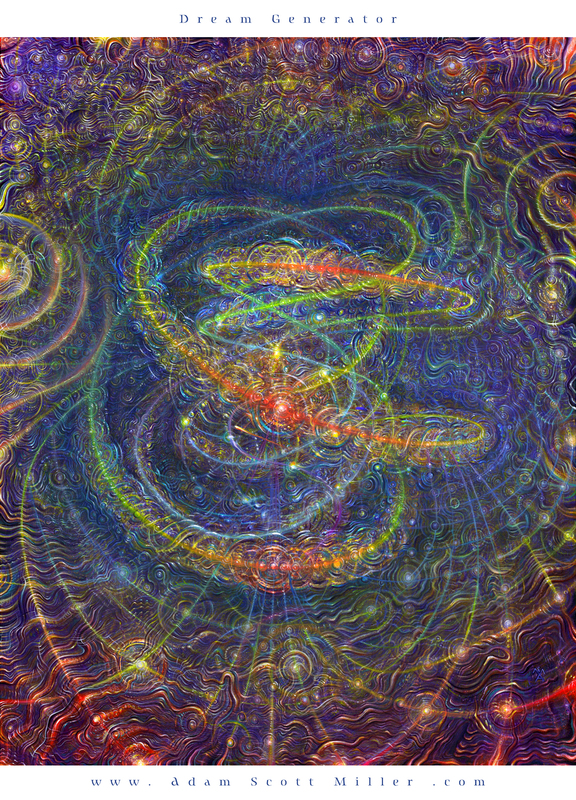 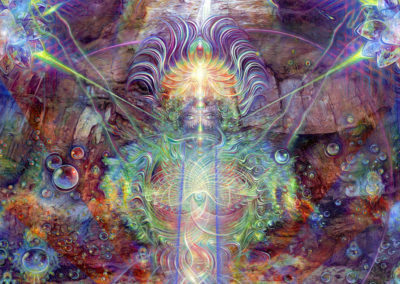 Transmutation: alchemical transformation of an evolving energy into another form. 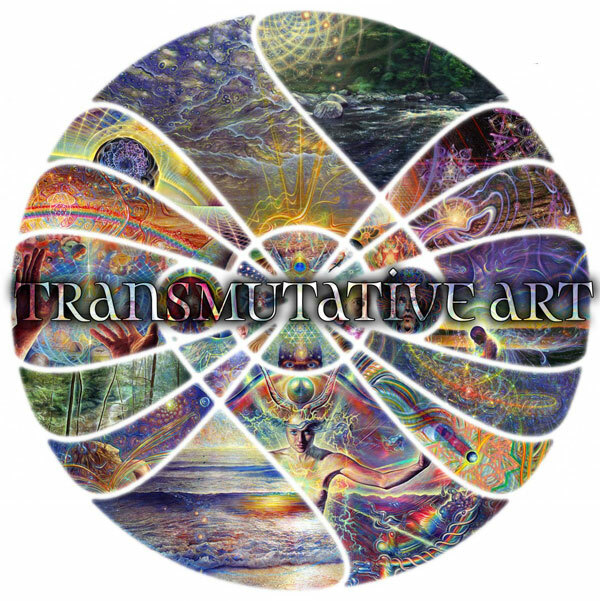 The workshop of Transmutative Art is an intensive laboratory of visionary intention; for you- as magician, to wield the elements of art as tools of transmutation. 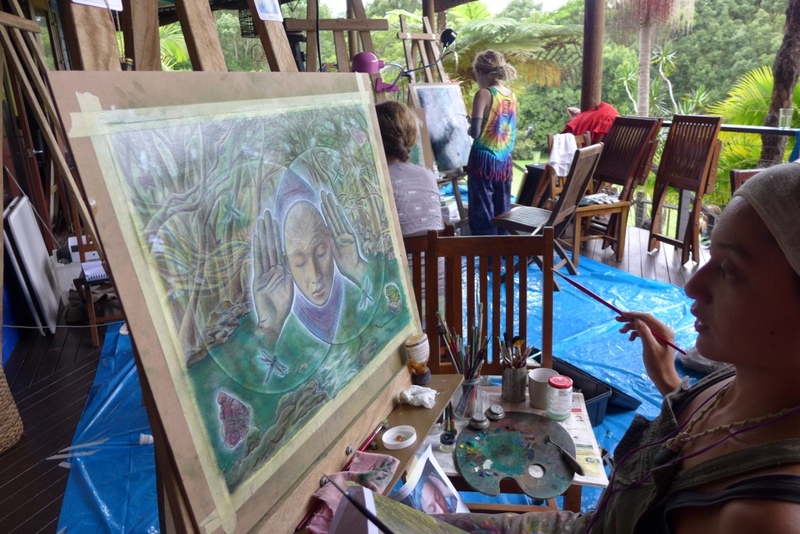 For artists of all levels of experience: bring forth what is within as an agent of change! 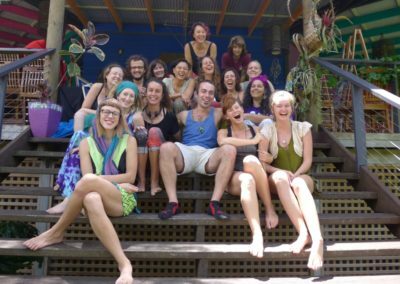 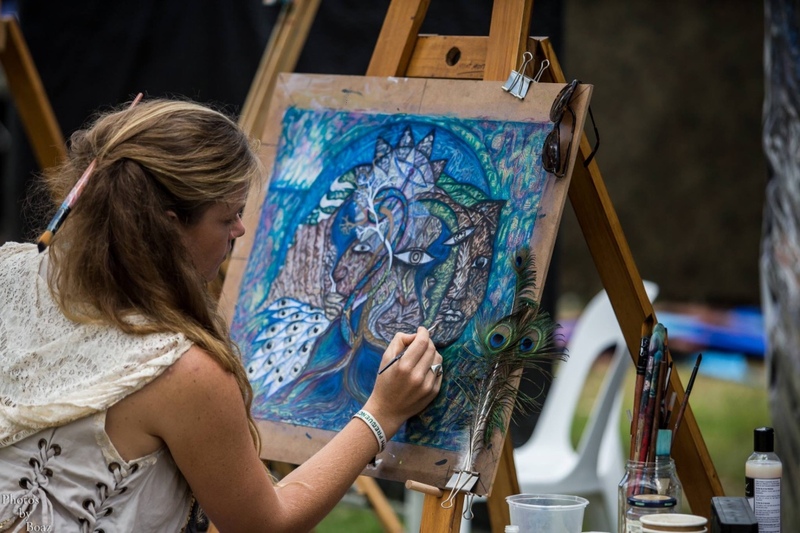 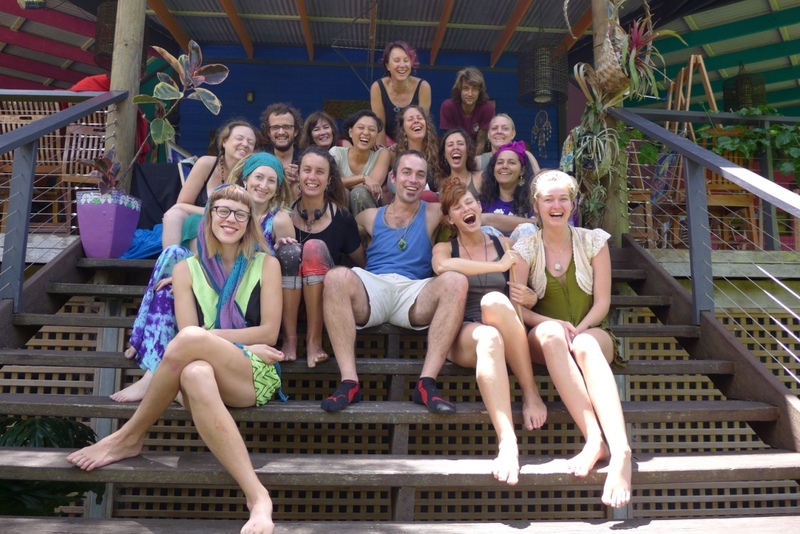 7 days of profound play, focused fun, and catalyzed creativity…..
Organic vegetarian meals & accommodation provided, amongst awe-inspiring beauty. 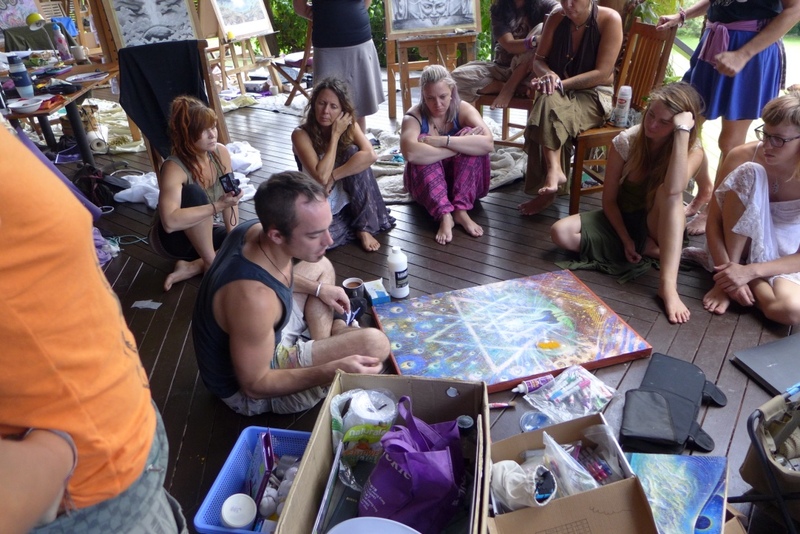 learned by ASM in his 17 years as a full-time mystic artist. 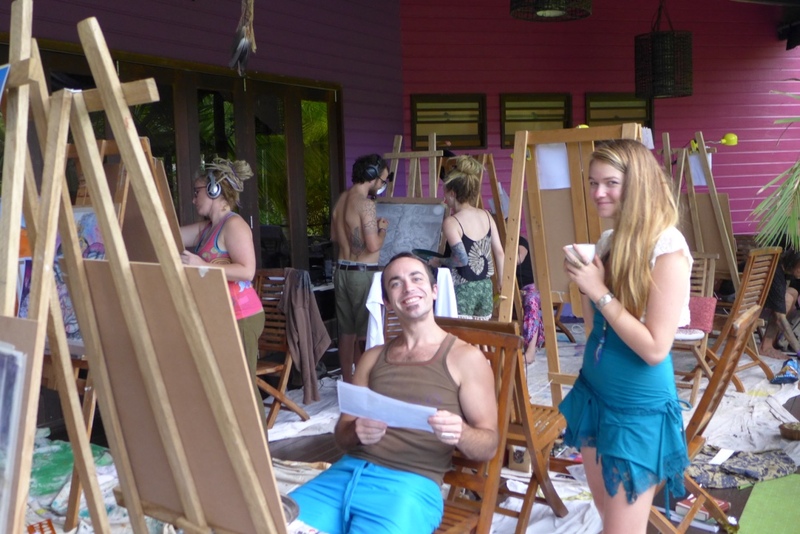 This art-intensive is open to all skill levels, but requires dedication. Each artist will be given ample attention for their own interests. 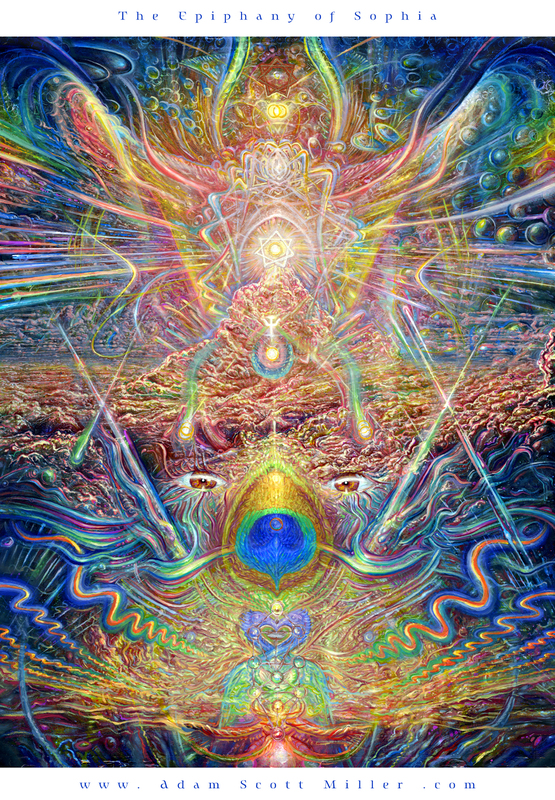 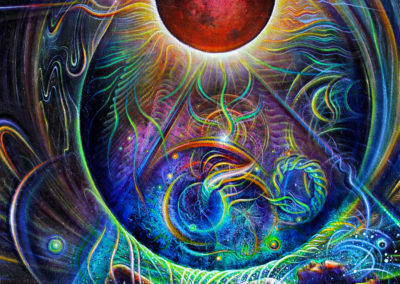 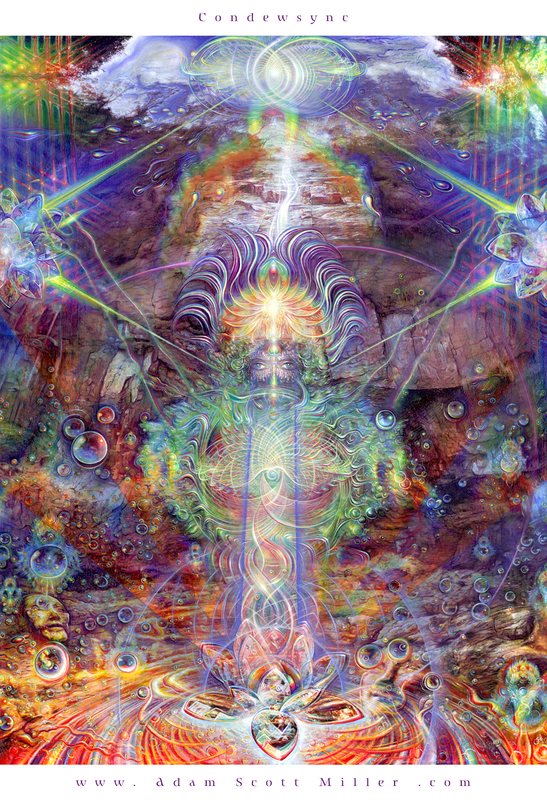 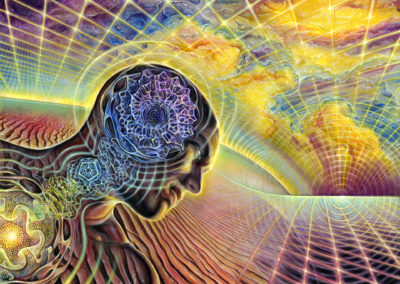 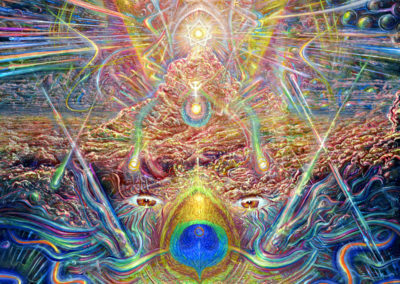 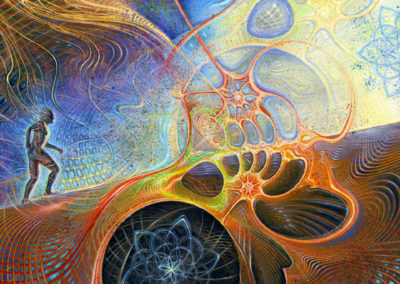 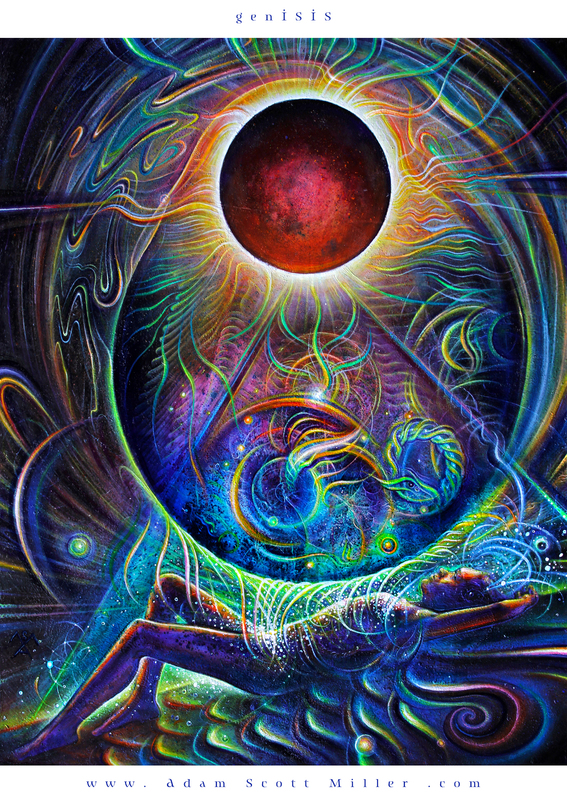 Knowing Visionary Art to be his path – and that world-changing revelations could be communicated through the visionary method – he chose the path of heArt. 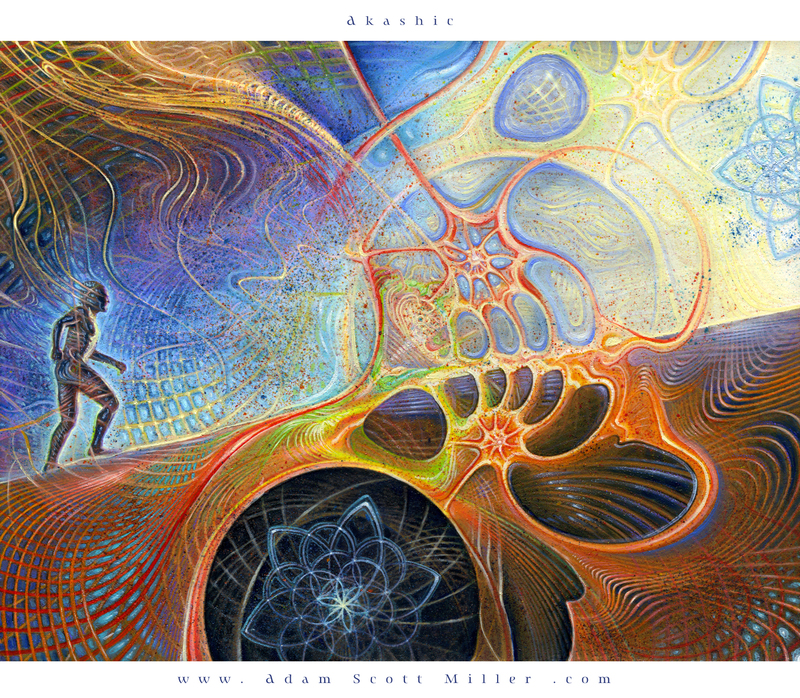 This road less traveled has since become a lifelong adventure of limitless growth and dilating creativity. 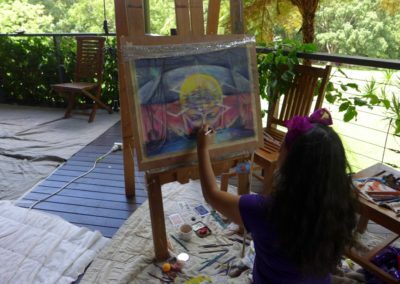 In 2010, he moved from America to the ancient rainforest of far-northeast Queensland, Australia where he now lives and works as a studio artist and mentor, as well as being a loving father to his two-year old daughter Maia Lily (already an inspired, focused artist). 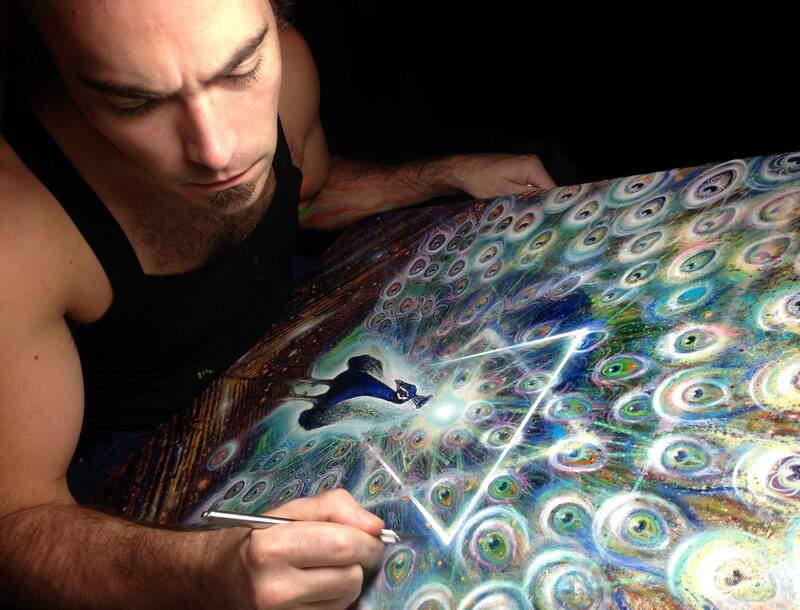 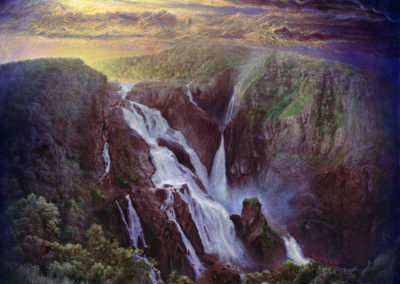 During his creative evolution, he has explored various schools of thought and consciousness-development, combining these with profound personal experiences into his own unique vision as an artist. 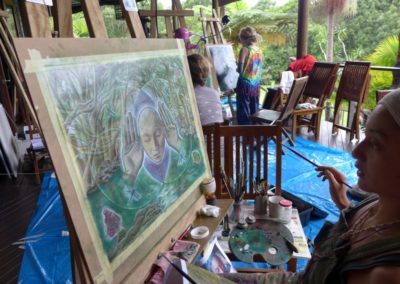 Throughout his artistic development, ASM has learned a vast array of principles for how we see optically, perceptually and spiritually. 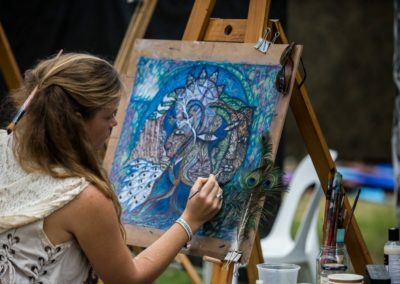 Uniquely, he has developed a very particular technique of creating drawing paintings in the “ASMethod” – an approach that combines many of his techniques into a process that is both efficiently precise and limitlessly inspirational.